19 | July | 2011 | K.I.S.S. Salsa is a cool, refreshing, light, summer treat. I decided to change up my regular version of fresh salsa into a Greek salsa. It’s full of color and flavor. Try it served with pita chips or even as a side dish to some chicken. Combine all ingredients in a bowl and toss gently. 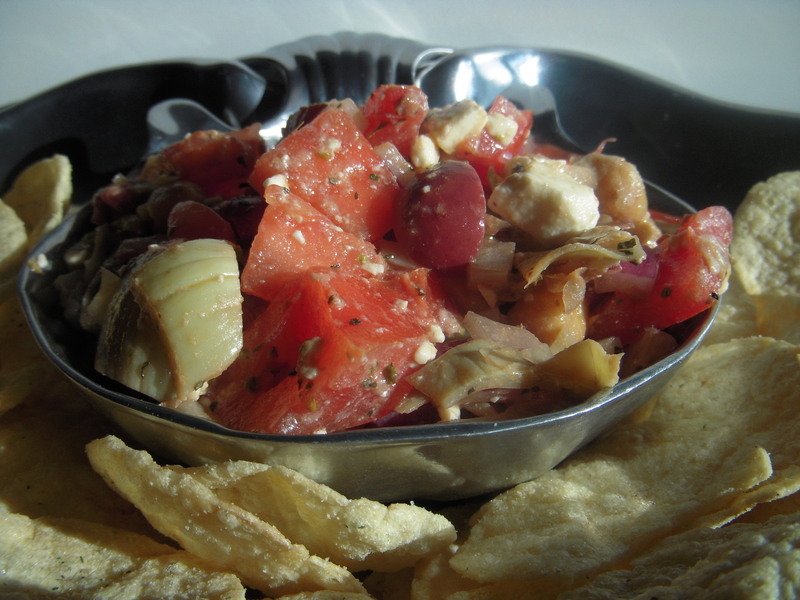 Serve the salsa with pita chips.